Had a good experience with Elements Hardscaping Inc. and would like to share your story? Be the first to submit a testimonial. I just wanted to let you know how absolutely thrilled I am with the front entrance, pathways and landscaping that Elements Hardscaping Inc. installed in my front and back yard. I love to go outside and look at the lovely design work and it makes me proud when I drive up the road and see the unique presentation of my property. I also wanted to take this opportunity to thank you for the excellent service your company provided. I was very impressed with the work that everyone did. The crew was extremely professional. They worked hard every day from early morning until late in the day. They were always very polite and explained exactly what they were doing whenever I asked. They cleaned up after themselves every day. Nolan has been just great from the initial planning stages to the final clean up. I was able to work collaboratively with him to get the design I wanted, and when I needed advice about planning ideas and design work, I could count on him to come up with creative solutions and suggestions. I believe the work was rewarding for all of us. His patience with my questions was always respectfully met with explanations and recommendations. I would highly recommend Elements Hardscaping Inc. without reservation. After a long and intense renovation of our home, Nolan and his team worked their magic to transform an outdated and tired “diamond in the rough” garden into a visually stunning gem of an oasis. 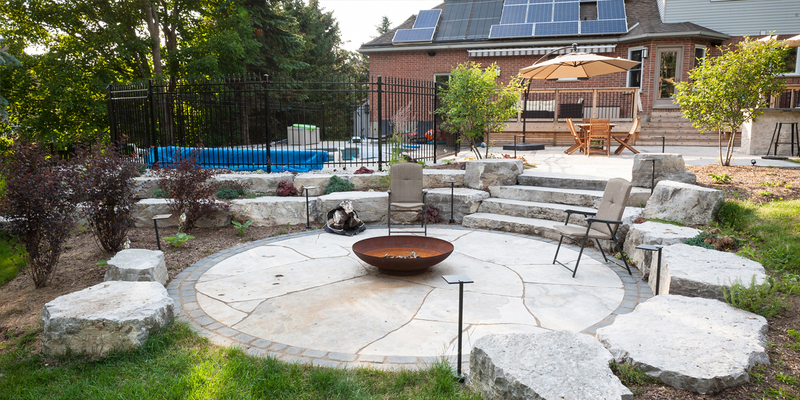 His choice and use of hardscape materials suited the home and property completely. We constantly receive compliments on the landscaping and gardens from neighbors and people walking by. Nolan, a very personable, pleasant, and polite young man, is very easy to work with. He is creative, articulate, listens well, and welcomes collaboration on a project. His project management skills are terrific, bringing in a project on time, on budget, and with quality work. I would highly recommend Nolan.